CHARLOTTESVILLE, Va. — In No. 2 Duke's latest installment of Freshmen Gone Wild, all three -- and point guard Tre Jones -- had starring roles Saturday night as the Blue Devils used an early barrage of 3-pointers to stun No. 3 Virginia, and then held off the Cavaliers, 81-71, to sweep the season series. 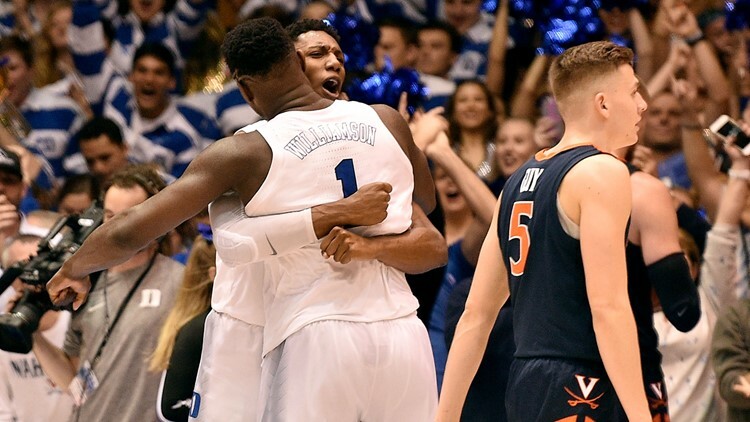 "My players felt it," Krzyzewski said. "That little bit of room -- they took advantage of it without any kind of coaching."